Lionsgate will release Adam Wingard‘s Blair Witch (2016) on Blu-ray, DVD, Digital HD, and On Demand this upcoming January 3, 2017. Special features I am interested in are the audio commentary with Adam Wingard, the 6-part documentary, and the exploring the set featurette. The Blu-ray and DVD will retail for $39.99 and $29.95, ouch! Press Release: SANTA MONICA, CA (November 1, 2016) - Nearly two decades after documentary filmmakers vanished in the groundbreaking film The Blair Witch Project, an investigative team searches for them and the truth behind their disappearance in Blair Witch, arriving on Blu-ray Combo Pack (plus DVD and Digital HD), DVD, Digital HD, and On Demand January 3 from Lionsgate. From acclaimed filmmakers Adam Wingard and Simon Barrett (You’re Next), Blair Witch stars James Allen McCune (TV’s "The Walking Dead"), Callie Hernandez (La La Land), Brandon Scott (TV’s "Grey’s Anatomy"), Valorie Curry (American Pastoral), Corbin Reid (Words with Girls), and Wes Robinson (The Genius Code). An official selection of the 2016 Toronto International Film Festival, this much-buzzed-about film will haunt viewers far beyond the closing credits. A group of college students venture into the Black Hills Forest in Maryland to uncover the mysteries surrounding the disappearance of their friend’s sister, who many believe is connected to the legend of the Blair Witch. At first the group is hopeful, especially when a pair of locals offer to act as guides through the dark and winding woods, but as the endless night wears on, the group is visited by a menacing presence. Slowly, they begin to realize the legend is all too real and more sinister than they could have imagined. 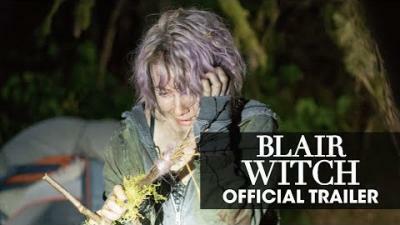 Get over 3 hours of bonus features on the Blair Witch Blu-ray and Digital HD, including an audio commentary with director Adam Wingard and writer Simon Barrett, the "House of Horrors: Exploring the Set" featurette, and a 6-part Making-of documentary, "Never Ending Night: The Making of Blair Witch". The DVD release includes the audio commentary and the "House of Horrors: Exploring the Set" featurette. 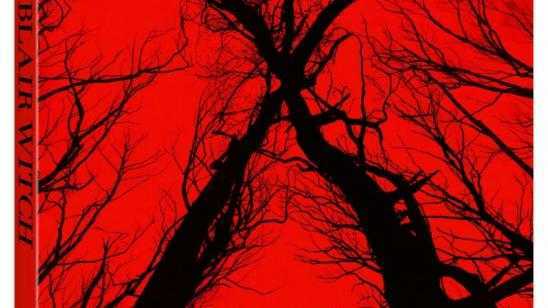 The Blu-ray Disc of Blair Witch will feature a Dolby Atmos soundtrack remixed specifically for the home theater environment to place and move audio anywhere in the room, including overhead. Blair Witch will be available on Blu-ray Combo Pack and DVD for the suggested retail price of $39.99 and $29.95, respectively. Title Copyright: Blair Witch (C) 2016, Artwork & Supplementary Materials (R) & (C) 2017 Lions Gate Entertainment Inc. All Rights Reserved. Dolby Atmos delivers moving audio--sound that can be precisely placed and moved anywhere in three-dimensional space, including overhead. It brings entertainment alive all around the audience in a powerfully immersive and emotive experience. Since its introduction in the cinema in 2012, Dolby Atmos has been embraced by all the major Hollywood studios, 15 Academy Award(R)-winning directors, and 28 Academy Award(R)-winning sound mixers, among others. Now people can enjoy Dolby Atmos in the cinema, in their home theaters, and on mobile devices. To learn more about Dolby Atmos, visit dolby.com/Atmos. The Company’s feature film business spans eight labels and includes the blockbuster Hunger Games franchise, the Now You See Me and JohnWick series, Nerve, CBS Films/Lionsgate’s Hell or High Water, Sicario, Roadside Attractions’ Love &Mercy and Mr. Holmes, Codeblack Films’Addicted and breakout concert film Kevin Hart: Let Me Explainand Pantelion Films’Instructions Not Included, the highest-grossing Spanish-language film ever released in the U.S.